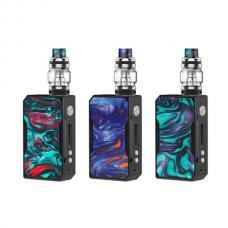 The New Kanger Ranger 200W TC Vape Kits, 3 fashionable colors available, it includes the Ranger TC box mod and Ranger Sub Ohm Tank. the new kangertech temp control box mod with an ergonomic streamlined design, vapers will feel more comfortable to hold in hands. the side with LED strip indicator light, it will show different light in various working wattages. 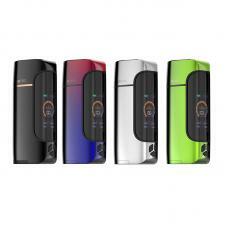 the ranger mod with one large OLED screen, which will show you the vaping data clearly. 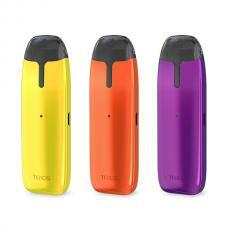 it powered by dual high-rate 18650 batteries and max output 200watts, various working modes switchable. the ranger tank can hold 3.8ml e juice, with easy access top refill design, allows vapers to inject the e-juice conveniently. there are dual large airflow adjustable slots on the bottom, can rotate the ring to adjust the airflow to your preference. 2 new replacement sub-ohm coil heads available: 0.15ohm Milli Mesh Coil and 0.4ohm Milli NiCr Coil, it will allow the tank fire up to 100watts and deliver you the intense flavor.